1,2Professor, Department of Mathematics, SIGC, Trichy, Tamilnadu,India. 3Research Scholar, Department of Mathematics, SIGC, Trichy, Tamilnadu, India. 1PG (ME APPLIED ELECTRONICS) student, Narayanaguru College of Engineering, Manjalumoodu, K.K (DIST)-Tamilnadu, India. 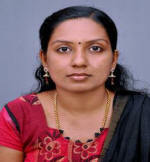 2Assistant Professor, Dept.of ECE, Narayanaguru College of Engineering. 1Assistant Professor, Dept of Mechanical Engineering, Sreenivasa Institute of Technology and Management Studies (Autonomous),Chittoor,A.P, India. 2Professor, Dept of Mechanical Engineering, JNTUA College of Engineering (Autonomous), Ananatapur-515002, A.P, India. 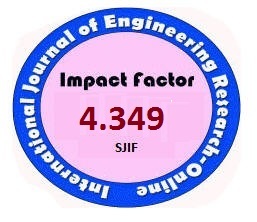 3 Associate Professor, Dept of Mechanical Engineering, Sreenivasa Institute of Technology and Management Studies (Autonomous), Chittoor,A.P, India. Nova college of engineering & technology, Vegavaram, Jangareddy gudem, A.P, India. 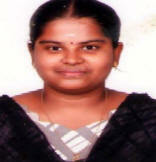 1P.G Scholar, Adhiparasakthi engineering college, Melmaruvathur-603 319. 2Assistant professor/EEE, Adhiparasakthi engineering college, Melmaruvathur-603 319. 1Head, Department of Information Technology, Sri Vasavi College, Erode. 1M.E Thermal Engineering, TRP Engineering College (SRM Group). 2Assistant Professor, TRP Engineering College (SRM Group). 3Assistant Professor, TRP Engineering College (SRM Group).